Whether it’s thanks to an anarchic spirit inherited from the country’s lawless origins or simply an excess of world-class craftspeople left idle in the lulls between American blockbuster productions, Australia tends to excel at low-budget genre movies. Take Melbourne’s own Leigh Whannell, best known as James Wan’s favorite screenwriter. With Upgrade, Whannell strikes out on his own with his first truly original concept as a writer-director—his previous directorial effort, Insidious: Chapter 3, followed up on a franchise launched by Wan from Whannell’s own screenplay—in a film whose production is as ambitious as its story is formulaic. 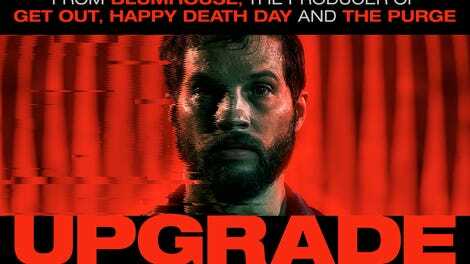 Thankfully, the former mostly compensates for the latter, making Upgrade a genre-bending summer treat for those who don’t mind a little (okay, a lot) of blood with their popcorn. Logan Marshall-Green, a standout in 2016's The Invitation, stars as Grey Trace, a man as generic as his name. Grey is your standard hyper-masculine working-class archetype, a stubbled Luddite mechanic who views the innovations that surround him every day in his vaguely dystopian near-future life with intense suspicion. And he’s right: A malfunction with his self-driving car leads to a mugging that leaves Grey’s wife Asha (Melanie Vallejo) dead and him paralyzed. Enter sylphlike technocrat Eron (Harrison Gilbertson), who offers to “upgrade” Grey with his new invention: STEM, an experimental brain implant that will cure Grey’s paralysis, getting him out of his wheelchair and giving him enhanced strength and cognitive abilities. Just the thing an aspiring Robocop on a Death Wish-esque mission of vengeance needs. What rescues Upgrade from fading into the static of an overstuffed genre market is not only the comedic dynamic between Grey and STEM, but also some seriously impressive special effects—including a thrilling highway car chase that looks like it came from a film 10 times this one’s budget—and Whannell’s eye for dynamic, Wachowski-influenced action, which contrasts nicely with the dingy world-building from production designer Felicity Abbott. Particularly clever is a technique where the camera locks on Marshall-Green as he moves through a fight, mimicking his stiff-limbed movements with robotic efficiency. 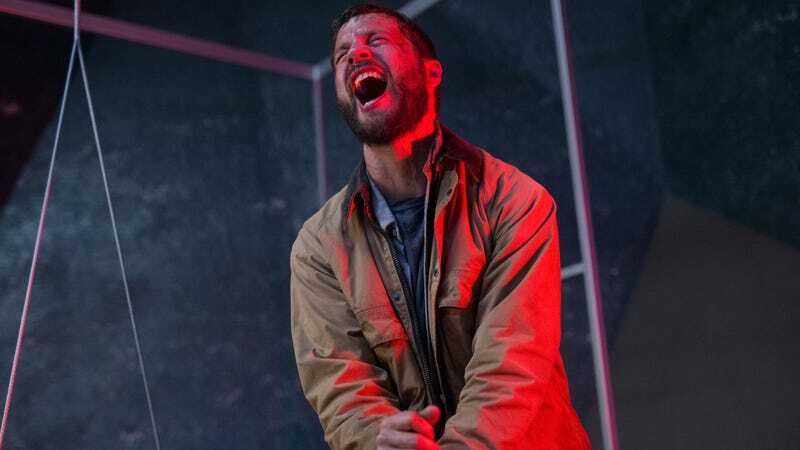 Upgrade may end up serving more as a calling card for Whannell than anything else: If he can accomplish this much within Blumhouse’s famous “$5 million or less” model, imagine what he could do with major studio cash.